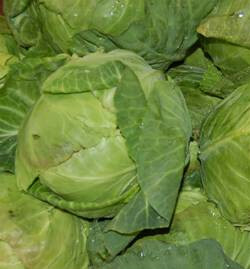 Green Cabbage: Sturdy and abundant, cabbage is a longstanding dietary staple throughout the world. It belongs to the Cruciferae family of vegetables along with kale, broccoli, collards and Brussels sprouts.The most common method of preparing cabbage is to shred it using a food processor or a cheese vegetable grater. 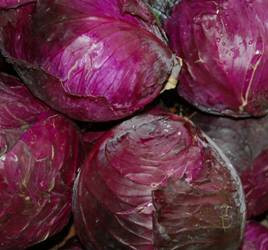 Use melted butter and caraway seeds, dill weed, ginger, or soy sauce to season hot cooked cabbage. Red Cabbage: The pigment in red cabbage, called anthocyanins, provide fruit and vegetables with beneficial blue, purple and red coloring, and are a group of healthful compounds that fall within the flavonoid class of plant nutrients. A popular way of preparing red cabbage in Germany is to braise it with apples, onions and vinegar creating a sweet and sour side dish. 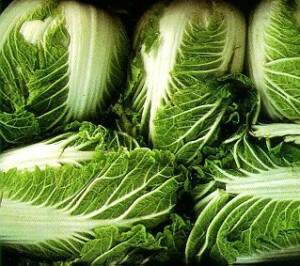 Napa Cabbage: Napa cabbage is a type of Chinese cabbage originating near the Beijing region of China, and is widely used in East Asian cuisine.